Washington (CNN) A summer visit that Interior Secretary Ryan Zinke made to the Vegas Golden Knights hockey team is now under two investigations by federal watchdogs. Zinke met with players on the hockey team at a hotel across the street from their practice facility June 26, a Golden Knights spokesman said. The meeting was added to the IG probe at the behest of Democratic Reps. Raul Grijalva and Donald McEachin. Grijalva criticized Zinke’s need to hire a chartered plane to return home to Montana following the Nevada meeting as well as the purpose of the meeting itself. “Claims that the secretary’s full schedule required the use of chartered aircraft deserve scrutiny. It appears as though Secretary Zinke and his staff could have taken a commercial flight from Las Vegas to Montana if he did not attend the motivational speech to the hockey team owned by his friend and campaign donor, Bill Foley,” read Grijalva’s letter. The OSC probe came after a complaint filed by the government watchdog group, Campaign for Accountability and was first reported by Reuters. 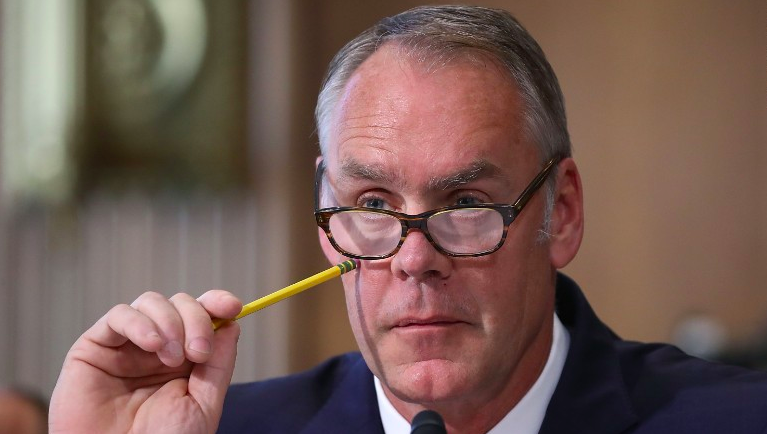 An Interior Department spokesperson told CNN that Zinke’s late night private flight to Montana from the Nevada meeting cost taxpayers $12,375. The spokesperson maintained that the flight was booked after no suitable commercial alternative was available and was approved by the Interior’s ethics office. Zinke’s meeting with the Vegas Golden Knights is also being scrutinized since it is owned by someone Zinke called “a major donor” when he was running for Congress in 2014. Bill Foley, a billionaire businessman and owner of the Golden Knights, is also board chairman of Fidelity National Financial Inc. FEC filings show that Foley was responsible for heavily bankrolling Zinke’s first congressional campaign in Montana. He personally donated $2,600 in 2013 and again 2014 — the maximum contribution amount. Fidelity donated $154,823 to Zinke between the years of 2013 and 2018. Fidelity also owns Chicago Title Services, which donated 23,900 to Zinke. The most recent investigation opened was into Veterans Affairs Secretary David Shulkin’s July business trip to London and Denmark, which included meetings with Danish and UK officials as well as a stop at Wimbledon.